Dr. Tian has been selected to present the Robert M. Berne Distinguished Lectureship at Experimental Biology 2019. The Berne lecturer is recognized as a leader in cardiovascular science and in a peak career stage of research innovation and productivity. Dr. Dan Shao investigated how glucose regulates the transcription of KLF15, which is critical for metabolic response for cell growth controlled by glucose-BCAA circuitry. The article appears in the July issue of Nature Communications. Dr. Matthew Walker reviews NAD+ modulation of mitochondrial function and how elevation of NAD+ levels can be used to treat human disease. The article appears in the June issue of Current Opinion in Physiology. The AHA postdoctoral fellowship seeks to enhance the training of postdoctoral fellows and enable them to develop academic careers in research. Dr. Wang’s project is about the role of nicotinamide riboside supplementation in heart failure. Raising NAD Heart Failure: Time to Translate? Dr. Matthew Walker, a senior fellow at the MMC, reviews the critical role of NAD levels in the regulation of metabolism and bioenergetics. The article appears in the May issue of Circulation. Dan Shao, a senior fellow in the Tian lab, was selected as the first-place winner for the 2017 ISHR North American Section Young Investigator Award (YIA) Competition for Senior Postdocs and Early Assistant Professors. The selection is made based on the scientific merit of an unpublished manuscript, the quality of the presentation, and responses to questions asked during the discussion period. This annual award was established by the North American Section of the ISHR to recognize outstanding research in the field of cardiovascular science by young investigators. This prestigious award (2017-2019, Association-wide) from the American Heart Association is intended to address an important problem broadly related to cardiovascular disease or stroke. Lee’s project title is The Roles of Protein Acetylation in SR Calcium Homeostasis and Diastolic Function. Rong Tian has been selected as the recipient of the 2017 Research Achievement Award of the International Society for Heart Research (ISHR). The Research Achievement Award recognizes an internationally prominent investigator with a sustained and distinguished record of major scientific achievements in the field of cardiovascular research. Awardees will have already had, and are expected to continue to have, a major impact on our understanding and/or treatment of cardiovascular disease. Dr. Rong Tian, Director of the Mitochondria and Metabolism Center, has been selected by The British Society for Cardiovascular Research to receive the prestigious Bernard and Joan Marshall Distinguished Investigator Award. The award will take place at the University of Oxford in 2017, where Rong Tian will be the keynote speaker for the meeting. The theme of the meeting is Cardiac Metabolic Disorders and Mitochondrial Dysfunction. Dr. Julia Ritterhoff, a senior fellow at the Mitochondria and Metabolism Center, was recently awarded a prestigious postdoctoral fellowship from the German Research Foundation. The funded proposal is sponsored by Dr. Rong Tian and aims to provide insights into the protective role of fatty acid oxidation in cardiac hypertrophy. The German Research Foundation (DGF) is the largest independent research funding organisation in Germany. It promotes the advancement of science and the humanities by funding research projects, research centres and networks, and facilitating cooperation among researchers. The article, Novel Targets for Mitochondrial Medicine, describes emerging mechanisms in mitochondrial biology, including protein modification, calcium ion transport, and dynamics, as potential targets for next-generation therapies. secretion and whether this mechanism is disrupted in type 2 diabetes, when β-cells fail to compensate for insulin resistance. The results may define new therapeutic targets and treatments to ameliorate type 2 diabetes symptoms and complications. efforts to prevent, treat, and cure diabetes and to improve the lives of all people affected by the disease. Chair of the Association’s board and successfully led the organization through its initial year as a voluntary health agency. Dr. Chi Fung Lee, a senior fellow at the Mitochondria and Metabolism Center, is selected as a finalist for the 2015 Melvin L. Marcus Young Investigator Award. The selection is made based on the scientific merit of an unpublished manuscript from Rong Tian’s laboratory, of which Dr. Lee is the first author. The Marcus Award is the highest honor awarded by the AHA to research in cardiovascular and circulatory physiology by young investigators. What are mitochondria flash events, and are the flash coupled to the flow of electrons along the electron transport chain during mitochondrial respiration? 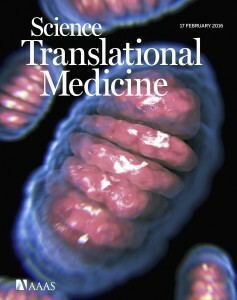 In this podcast Associate Editor Ronglih Liao (Brigham and Women’s Hospital and Harvard Medical School) interviews lead author Wang Wang (University of Washington) and content expert Hossein Ardehali (Northwestern University) about the study by Gong et al, which goes beyond Wang’s pioneering discovery of mitochondria flash to imaging flash and measuring mitochondria respiration. Might the imaging techniques used by Wang and co-authors lead to analysis of mitochondrial respiration in tissues other than the heart, such as skeletal muscle? While mitochondria flash can be used to measure reactive oxygen species (ROS) production inside the cell, can this innovative technique, in combination with pharmacological approaches, pinpoint the exact source of ROS production? Listen to find out. Guohua Gong, Xiaoyun Liu, Huiliang Zhang, Shey-Shing Sheu, Wang Wang Mitochondrial flash as a novel biomarker of mitochondrial respiration in the heart Am J Physiol Heart Circ Physiol, published October 1, 2015, DOI: 10.1152/ajpheart.00462.2015.